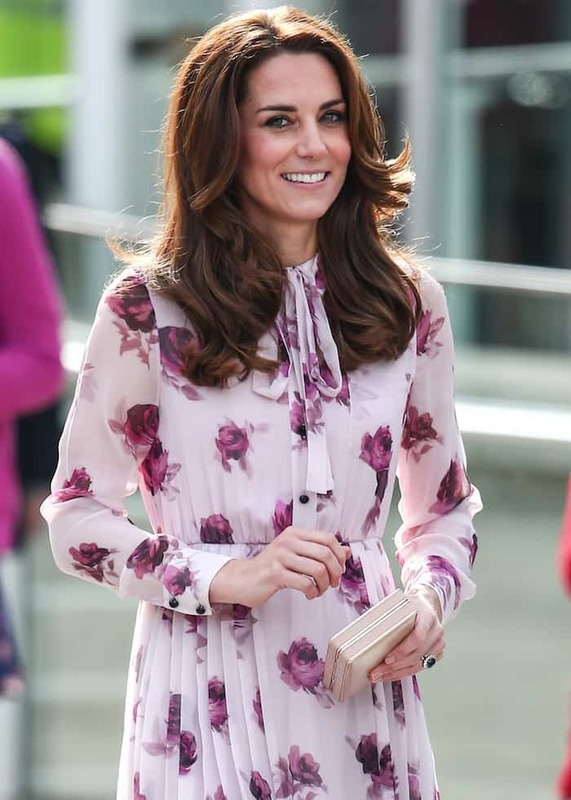 Kate Middleton is known and admired for repeating her outfits and her shoes. When she really loves something she will wear it day after day. Her Penelope Chilvers boots, for example, have been her staple for years, and Kate is frequently seen wearing a pair of L.K. Bennett “Fern” pumps. 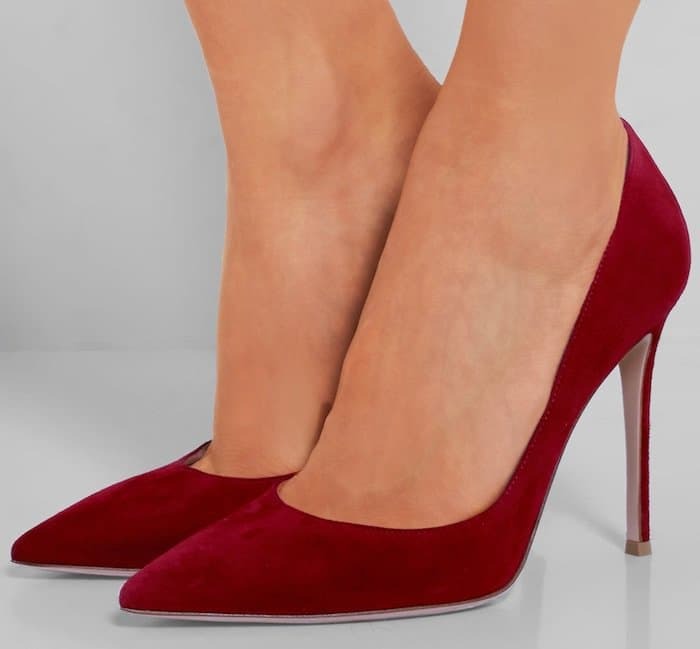 However, her favorite pair of shoes is Gianvito Rossi’s suede pumps. Catherine, Duchess of Cambridge was all smiles while arriving at the Family Action building in Lewisham, England. She was in attendance to announce the launch of their new service FamilyLine, which will use a network of volunteers from across the country to support parents and carers through phone calls, email, and texts. 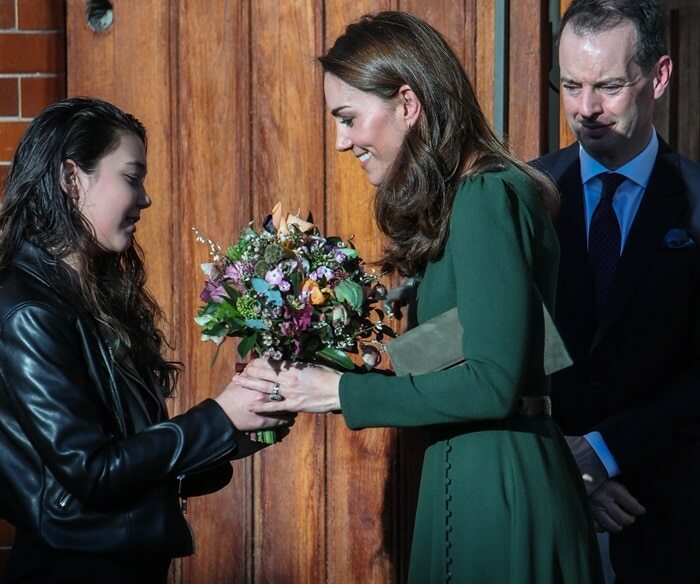 The 37-year-old royal donned a bespoke long-sleeved green crepe midi dress by ethical fashion label Beulah London. She toted a Dora clutch by LK Bennett and accessorized with earrings by Kiki McDonough. Her look was completed with Gianvito Rossi’s olive suede pointy-toe pumps. 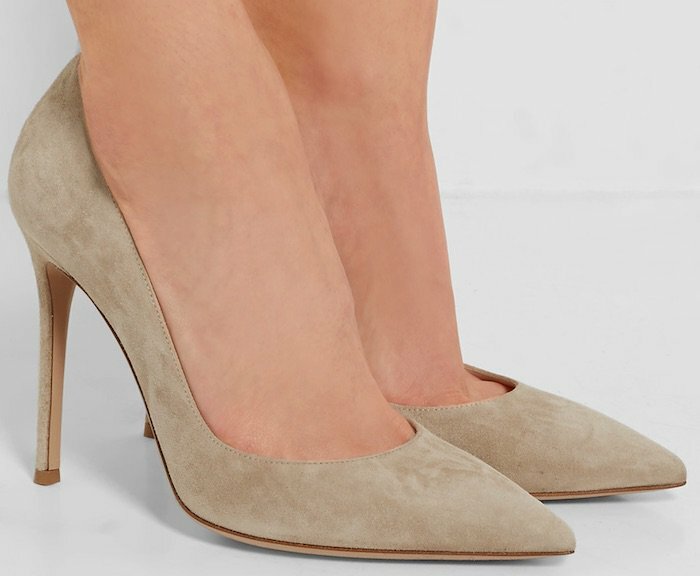 The Duchess of Cambridge has also purchased the Gianvito Rossi pumps in Praline and red suede. We first saw her wearing them at the Royal Ascot races in Berkshire. Kate Middleton in a Kate Spade dress paired with her Gianvito Rossi suede pumps to visit the London Eye for World Mental Health Day on October 11, 2016. The royal wore the same pumps to the London Eye for World Mental Health Day. For this occasion, Kate paired her favorite shoes with a Kate Spade chiffon dress and accessorized with an L.K. Bennett clutch. The next day, the Duchess donned her favorite Gianvito Rossi pumps again as she arrived in the Netherlands to start her first solo trip abroad. This time she paired her heels with a powder blue peplum suit by Catherine Walker. She reminded us of a young Jackie O. in this outfit. We absolutely love Kate’s simple and chic style. 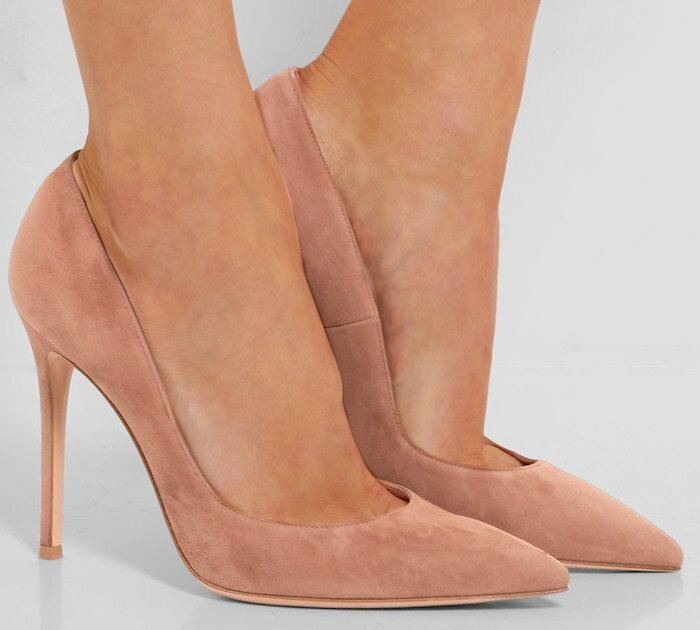 Grab a pair of Gianvito Rossi suede pumps from Farfetch and Net-A-Porter. They are also available in other colors.